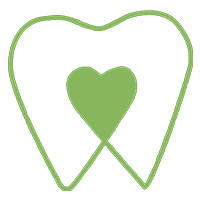 When you or a family member need wisdom teeth pulled, or another advanced dental procedure, Hailun Wu, DMD, of Greenwood Smile Dental in Seattle performs many oral surgeries right in her office. 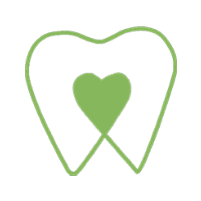 Dr. Wu is an experienced dentist who makes it convenient for you to get the highest standard of dental service in one location. For personalized care and expert dental procedures, including oral surgery, wisdom teeth extractions, and gum surgery, call to schedule a consultation or book online. During your routine dental cleanings and oral exams, Dr. Wu looks for any indications of disease or decay that could benefit from oral surgery. Do all oral surgeries require anesthesia? It depends on your specific procedure whether or not you need anesthesia during your dental surgery. For the most part, when you’re having a more complex procedure, Dr. Wu administers general anesthesia. But for routine root canals or single tooth extractions, you might simply need a local anesthetic to numb your mouth so you don’t feel any pain. Dr. Wu explains your options for anesthesia ahead of time so you know what to expect and if you need to plan ahead for downtime after your surgery. How long is recovery after oral surgery? Recovery after oral surgeries is different for everyone and depends on the type of surgery you’re having. If you have a tooth extracted, or all of your wisdom teeth removed at once, you can expect to have some swelling in your jaw and minor bleeding in your mouth for up to 24 hours after surgery. You could also have some bruising in the soft tissue of your face and mouth. Typically, you should plan to rest for the day after your oral surgery, but you can usually resume your normal activities within 48 hours. Dr. Wu can prescribe pain medications to help alleviate discomfort, and she instructs you on how to care for your mouth as you recover. You shouldn’t smoke after oral surgery, and you’ll need to keep the treated area clean by rinsing with salt water or brushing gently. Before you have any oral-surgery procedure, Dr. Wu explains it in detail so you understand and know what to expect before, during, and after. If you are considering oral surgery, call for an appointment or use the convenient online booking tool to schedule a consultation.